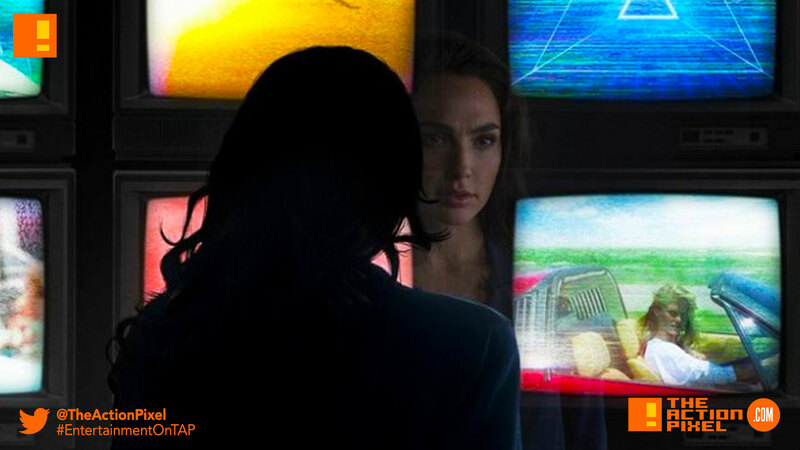 Gal Gadot isn't impressed with 80's television in the first look image for sequel "Wonder Woman 1984"
It’s been quiet on the Wonder Woman / DC Comics film front for a very hot minute. Understandably. But given the relative success of Wonder Woman, we suspected any tremors from the WB + DC camp would have her at the root. Ergo a new promo image that Gal Gadot released via social media promoting the sequel – Wonder Woman 1984. And it seems she’s not impressed by the beginning of the audiovisual over sensory that saw the rise of pop music videos, laser-themed anything and sexually-charged and suggestive images. You and me both, WW. But who did it better – Wonder Woman or Ozymandias? Plus as a first image, would you lead with this?